When Eleonor first started exploring textiles she worked from photographs, mostly of Swedish building and landscape, especially inspired by domestic architecture. Painted background fabric and appliqué with added stitchery and foliage forms give texture and a third dimension to her work. 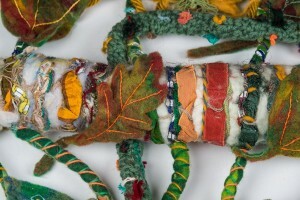 Eleonor has always enjoyed experimenting with embroidery stitches Mixing wool and other threads, she made many small samples, layering stitches and using many colours to create the desired effect. Her work developed further when she started to combine stitching with hand made felt, occasionally cutting into the felt to reveal the stitching beneath. This layering technique enabled her to add another dimension and more colour to her pieces. 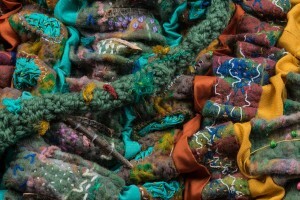 She is currently exploring which materials can be combined in the felting technique to achieve a variety of textures. Her most recent wall hanging was inspired by Swedish Flora and Fauna. 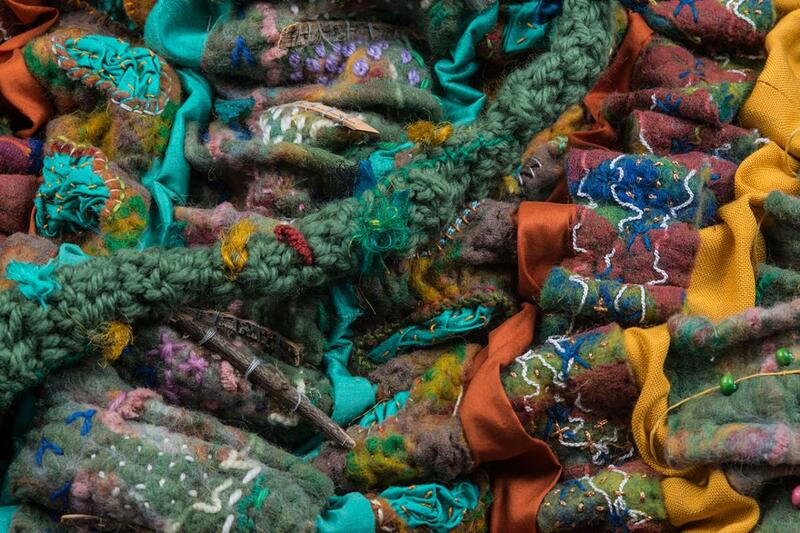 Eleonor is a member of The International Feltmakers Association, London Loves felt and the William Morris Society.